Magnus and Alec come together after a whirlwind romance between one another. This Shadowhunters Malec T-Shirt is perfect for any Malec fans. I found the shadow hunter series in December while my daughter was in the hospital and fell in love with this fantastic show &amp; cast! Sad it has been cancelled. 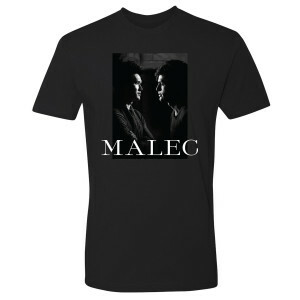 Had to have couple of shirts to remember them, #Malec luv them and my shirts, thanks.